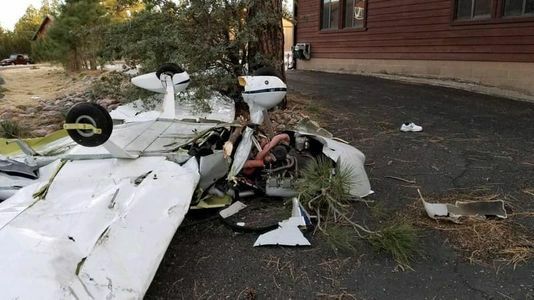 On November 16, 2018, about 1530 mountain standard time, a Zenith Zodiac 601XL, experimental, amateur-built airplane, N322JL, was substantially damaged after impacting a tree and a home, 1/4 mile from the approach end of runway 21 at the Mogollon Airpark (AZ82), Overgaard, Arizona. The pilot and pilot-rated passenger and were fatally injured. The airplane was registered to and operated by the pilot under the provisions of 14 Code of Federal Regulations Part 91 as a cross-country flight. Visual meteorological conditions prevailed, and no flight plan was filed for the flight that originated from Lake Havasu City Airport (HII), Lake Havasu City, Arizona about 1300, with a destination of AZ82. There were several witnesses in the area that stated they heard a loud thud or felt a vibration about the time of the accident and did not investigate. The wreckage was first identified by nearby home owners about one hour after the accident. According to a family member, the pilot and his son had planned a multi-leg flight from Fullerton Municipal Airport (FUL), Fullerton, California, to Orange Port, Florida. The morning of the accident, they departed from FUL to HII. After landing at HII and taking on fuel, they departed and were planning to stop at AZ82 for the night, where the pilot owned a hangar. AZ82 is uncontrolled and situated at an elevation of 6,657 ft above mean sea level. It is equipped with a single paved runway, designated 3/21, which measures 3,420 ft by 50 ft. The runway is peaked halfway down the length and there is no line of sight between the runway ends. The displaced threshold for runway 21 is 746 ft long and is down sloping from the runway. A taxiway extends from the displaced threshold another 500 ft in the same direction as the runway. A visual approach-slope indicator (VASI) is positioned left of the runway 21 threshold. A postaccident examination of the site revealed the first identified point of contact (FIPC) was the top of an 80 ft tree on the direct centerline view of runway 21 and about 1,500 ft from the runway threshold. About 226 ft from the FIPC, a wing impact mark and cuts consistent with rotating propeller blades were found on the roof of an unoccupied home. The airplane then impacted a 2nd tree before impacting the ground in the taxi area between homes. A propeller blade was found in several sections about 170 ft from the home. The empennage separated from the main wreckage and remained lodged in the 2nd tree about 20 ft off the ground. The main wreckage was found inverted with leading edge impact damage to the right wing and buckling to both wings. The fuselage was twisted, and the engine remained partially attached. Fuel drained from the right wing during the recovery of the wreckage. The airplane was recovered to a secure facility for further examination. The 1535 automated weather observation at Show Low Regional Airport (SOW), Show Low, Arizona, located about 27 miles to the east of the accident site, included wind from 210° at 10 knots, visibility 10 miles, and clear skies, temperature 13° C and dew point -18° C. The density altitude was calculated at 7,400 ft. A privately-owned weather station near the approach end of runway 21 recorded peak wind at 6 knots about the time of the accident. 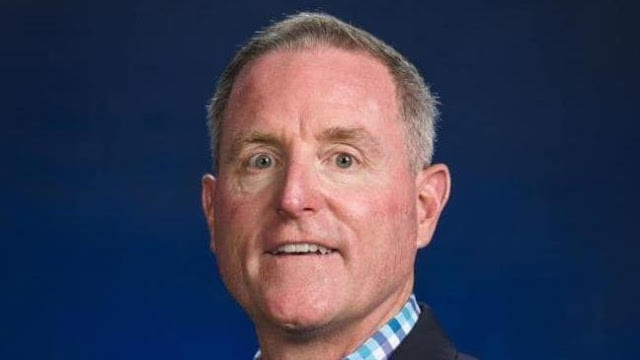 Retired U.S. Navy Captain Randall J. Lynch was an adjunct professor in the Department of Security Studies and International Affairs (Embry-Riddle Aeronautical University). Officials identified a pilot and passenger who died after their small plane crashed into a Heber-Overgaard home Friday night. The Navajo County Sheriff's Office identified the victims as Jay A. Lynch, 82, of Port Orange, Florida and 53-year-old Randal J. Lynch of Daytona Beach, Florida. The crash occurred near the Mogollon Airpark on the Overgaard side of the joint, unincorporated communities located along the Mogollon Rim off State Route 260 shortly before 5 p.m., according to Chief Deputy Randy Moffitt of the Sheriff's Office. Moffitt said the couple had a property within a nearby luxury community and had recently purchased the Zenith Zodiac CH-601. They were traveling from California back to their home state of Florida. It's not clear whether they were intending to land at the hangar for the night or were taking off when the crash occurred, Moffitt said. A resident in the area returned home and saw their house had been struck by the airplane and then saw the aircraft on the ground, Moffitt said. The crash remained under investigation Saturday. The Federal Aviation Administration and the National Transportation Safety Board were on the scene Saturday to process the plane crash and conduct the investigation into the circumstances of the crash. The Sheriff's Office Criminal Investigations was also on the scene assisting with the incident. 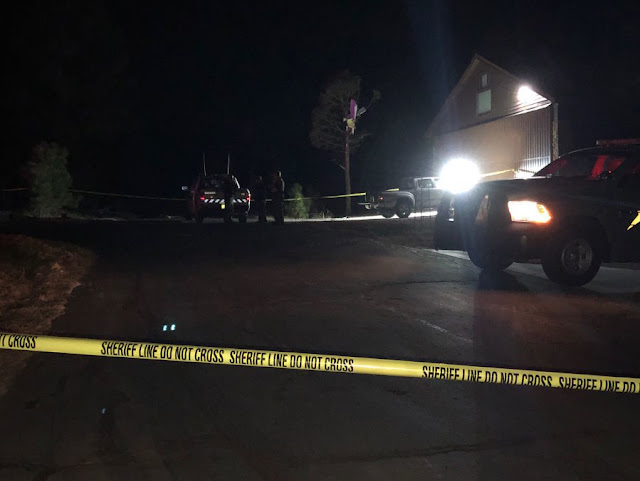 HEBER-OVERGAARD, AZ - Two people have been killed after a plane hit a home in the Heber-Overgaard area Friday night. The Federal Aviation Administration says the plane was a Zenith Zodiac CH-601 with two people on board. The Navajo County Sheriff’s Office says the crash happened around 5 p.m.
Navajo County Sheriff’s Office says a homeowner came home around that time and found a plane a few feet from his house, with damage done to the home. The FAA says it’s unclear what caused the plane to crash. In a Saturday afternoon update, authorities identified the victims as Jay Lynch, 82, and Randal Lynch, 52, both from Florida. The Federal Aviation Administration and National Transportation Safety Board will continue to investigate. The Navajo County Sheriff’s Office Criminal Investigations unit is also on scene assisting with the investigation. PHOENIX (KSAZ) -- Officials with the Navajo County Sheriff's Office said two people are dead, following a crash Friday near a private airstrip in Heber-Overgaard. Officials said Navajo County Sheriff's Office began receiving calls about the incident at around 4:50 p.m., and the private airstrip was used by area residents. Officials say a person came home, and found a plane has crashed into his home, and that was when he called authorities. Navajo County Sheriff's Office said the pilot and passenger died on the scene. The victims have been identified as Jay Lynch and Randal Lynch, both from Florida. Meanwhile, Federal Aviation Administration officials identified the plane as a Zenith Zodiac CH-601. NAVAJO COUNTY (3TV/CBS 5) - The Navajo County Sheriff's Office have identified the two people who were killed after a small plane crashed in Heber-Overgaard Friday afternoon. The crash was reported just before 5 p.m. near Mogollon Airpark, according to the Navajo County Sheriff's Office. Saturday morning officials identified the two victims killed as Jay Lynch, 82, and Randal Lynch, 52. Sheriff officials say the two men are from Florida. The plane clipped a house and the homeowner found the plane near the home, according to Navarro County Sheriff's Office. "This is a private subdivision with the runway right inside of that subdivision," Navarro County Sheriff's Office Chief Deputy Randy Moffitt said. "We have probably about one of these a year and the deputies are doing a great job out there. We have our criminal investigations unit out there and we will be holding the scene for the National Transportation Safety Board who stated they will be arriving tomorrow," Moffitt said.